The Adair County Indians made short work of Glasgow Thursday night in a home tilt at John Burr Memorial Gym, cruising to a 81-61 win thanks in large part to Chance Melton’s 18 points, which moved the senior past Kevin Bridgewaters for first place on the ACHS all-time scoring list with 2,119 points. Prior to the game, Melton was honored with a 2,000-point ball, recognizing a milestone he reached in December. His younger brother, junior guard Corey, was also presented with a 1,000-point ball, a benchmark he hit earlier this month. The brothers combined for 40 points in Thursday’s win. 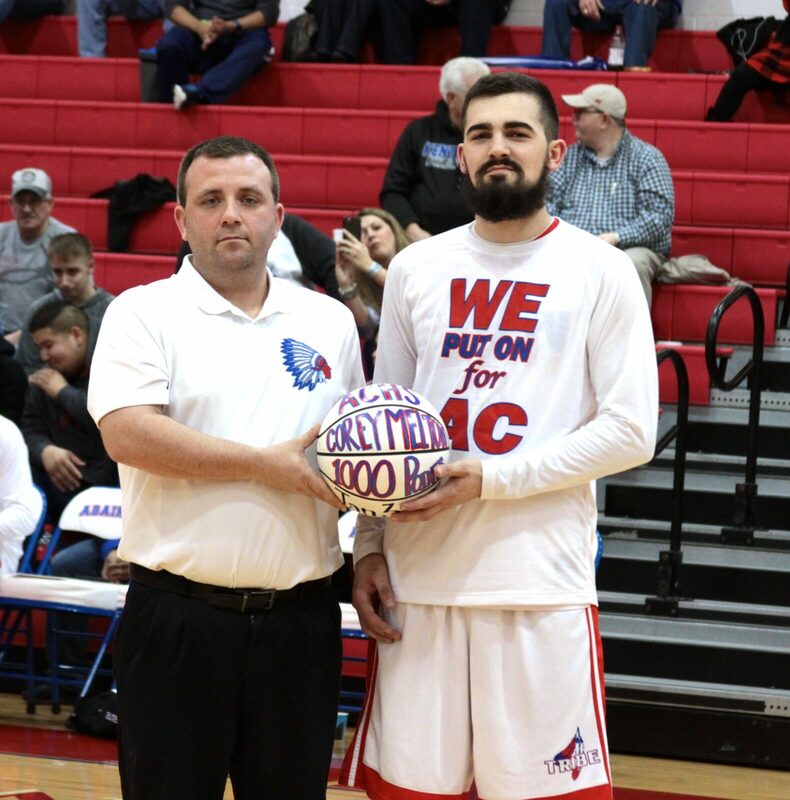 corey: Junior guard Corey Melton received his 1,000-point ball from head coach Deron Breeze before the Indians’ contest with Glasgow Thursday. Melton finished the game with a team-leading 22 points.